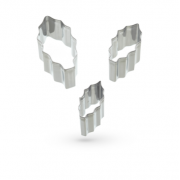 We have a complete range of high quality novelty and shaped cutters. 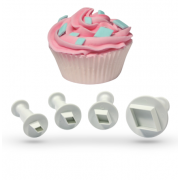 You will be able to use our cutters to create absolutely stunning, professional and realistic cake decorations to adorn any wedding cake or celebration cake. 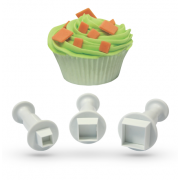 Our plunger cutters are perfect for creating professional cake decorations and feature a spring mechanism which cuts and releases the icing to produce perfectly formed shapes. 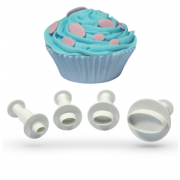 Use with sugarpaste, rolled fondants, royal icing, gumpaste, marzipan and non-edible clays. 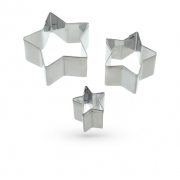 PME Star Plunger Cutter - set of 3. 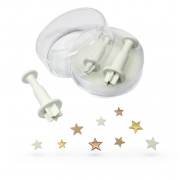 All you need to create beautiful sugar star decorations perfect ..
PME Snowflake Plunger Cutter - large 55mm. 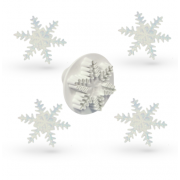 All you need to create large beautiful sugar snowflake de..
PME Snowflake Plunger Cutter - medium 40mm. 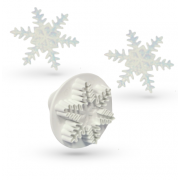 All you need to create medium beautiful sugar snowflake ..
PME Snowflake Plunger Cutter - small 25mm. 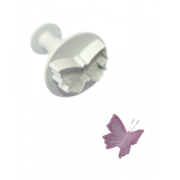 All you need to create small beautiful sugar snowf..
PME Veined Butterfly Plunger - large 60mm. 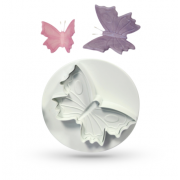 All you need to create beautiful butterfly sugar d..
PME Veined Butterfly Plunger - medium 45mm. 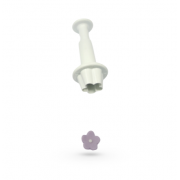 All you need to create beautiful butterfly sugar ..
PME Veined Butterfly Plunger - small 30mm. 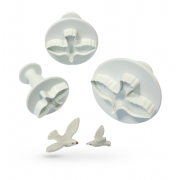 All you need to create beautiful butterfly sugar d..
PME Veined Dove Plunger - set of 3. 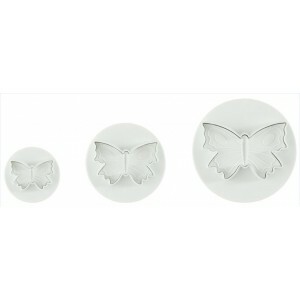 All you need to create beautiful dove sugar decorations p..
PME Veined Rabbit Plunger - large 83mm. 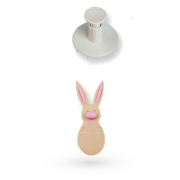 All you need to create beautiful Rabbit sugar decorat..
PME Veined Rabbit Plunger - medium 55mm. 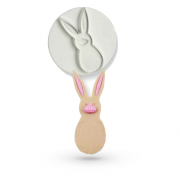 All you need to create beautiful Rabbit sugar decora..
PME Veined Rabbit Plunger - small 42mm. 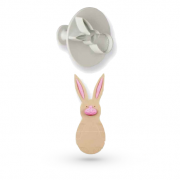 All you need to create beautiful Rabbit sugar decorat..
PME Bell Cutter - set of 2 stainless steel cutters, 19mm and 32mm. 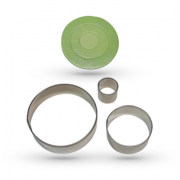 This set includes all you ..
PME Blossom Plunger Cutter - large 13mm. 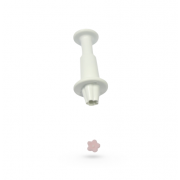 All you need to create large beautiful sugar blossom..
PME Blossom Plunger Cutter - medium 10mm. 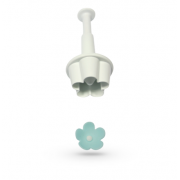 All you need to create medium beautiful sugar bloss..
PME Blossom Plunger Cutter - small 6mm. 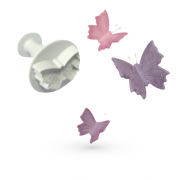 All you need to create small beautiful sugar blossom ..
PME Blossom Plunger Cutter - extra large 25mm. 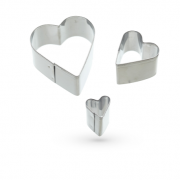 All you need to create extra large beautiful s..
PME Heart Cutter - set of 3 stainless steel cutters, 17mm, 39mm and 59mm. 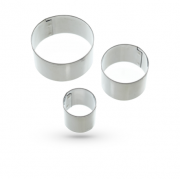 This set includes a..
PME Round Cutter - set of 3 stainless steel cutters, 17mm, 37mm and 57mm. 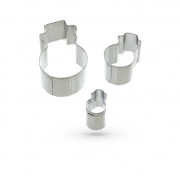 This set includes a..
PME Star Cutter - set of 3 stainless steel cutters, 17mm, 34mm and 51mm. 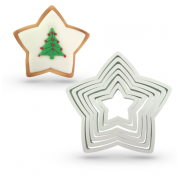 This set includes al..
PME Square Plastic Cookie Cutters - set of 6 plastic cutters. 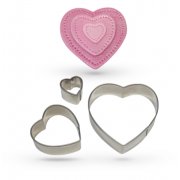 This set includes all you need ..
PME Round Plastic Cookie Cutters - set of 6 plastic cutters. 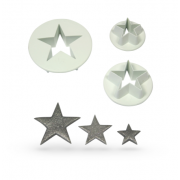 This set includes all you need t..
PME Star Plastic Cookie Cutters - set of 6 plastic cutters. 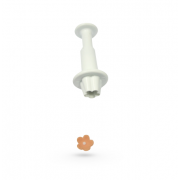 This set includes all you need to..
PME Teddy Bear Cutter - Small 23mm. 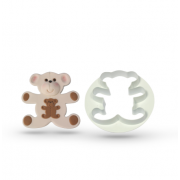 Perfect for creating colourful and fun cake decorations for cele..
PME Teddy Bear Cutter - Medium 45mm. Perfect for creating colourful and fun cake decorations for cel..
PME Teddy Bear Cutter - Large 75mm. 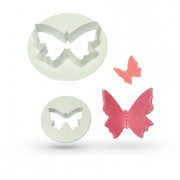 Perfect for creating colourful and fun cake decorations for cele..
PME Butterfly Cutter - Set of 2. 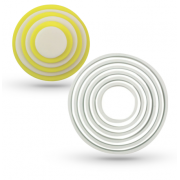 Small 30mm and medium 60mm. 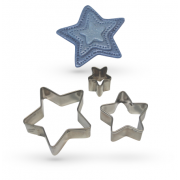 Perfect for creating colourful and fun ..
Add some professional style decorations to your delicious cakes with this set of three stainless ste..
Add some professiona stylel decorations to your delicious cakes with this set of three stainless ste..
PME Star Cutter - Set of 3. Small 18mm, 25mm and 35mmmm. 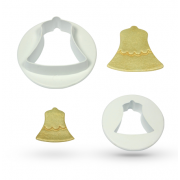 Perfect for creating colourful and fun cake..
PME Bell Cutter - Set of 2. Small 20mm and medium 30mm. 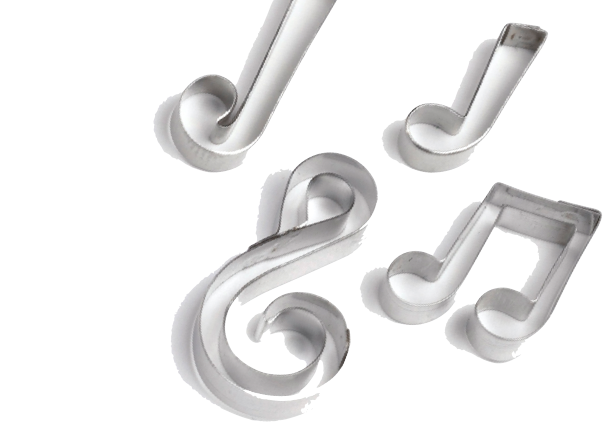 Perfect for creating colourful and fun cake ..
PME Oval Plunger Cutter - set of 4. 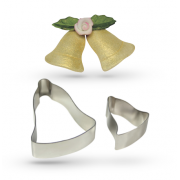 All you need to create beautiful sugar oval decorations p..
PME Diamond Plunger Cutter - set of 4. 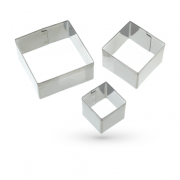 All you need to create beautiful sugar diamond decorat..
PME Square Plunger Cutter - set of 3. 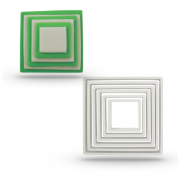 All you need to create beautiful sugar square decoratio..